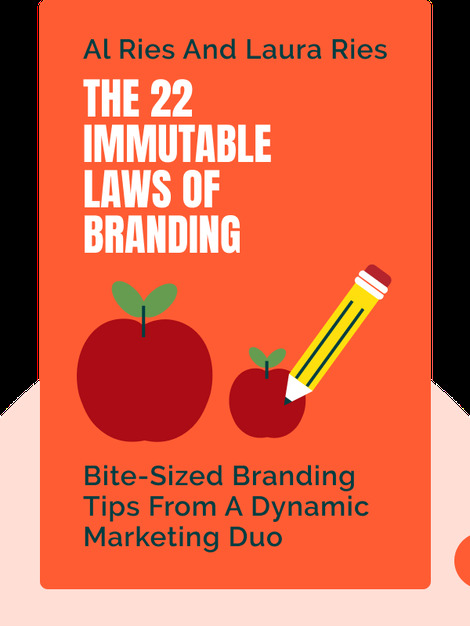 The 22 Immutable Laws of Branding (1998) is a practical, hands-on guide to the dos and don'ts of branding. Covering 22 memorable bite-sized nuggets of wisdom, these blinks provide an overview of the all-too-common mistakes made by marketers and showcases the tricks of the trade used by the most successful brands to assert their dominance in ultra-competitive markets. Al and Laura Ries are a father and daughter marketing duo whose consulting firm Ries & Ries counts illustrious names like Disney and Ford among its clients. 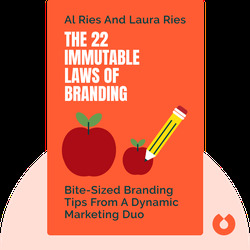 Besides The 22 Immutable Laws of Branding, the pair have co-authored four other titles. Al is also known for his influential book Positioning: The Battle for Your Mind, while Laura frequently appears as a guest and commentator on major news outlets.